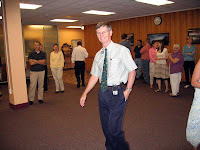 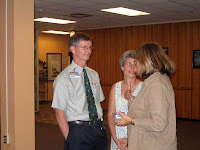 J.Fogarty, the Dean of the College of Medicine at UVM held a reception for the Dean's Office staff in appreciation for their work and support. 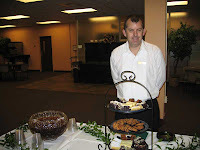 I thought it was a nice gesture and the pastries were pretty good too. 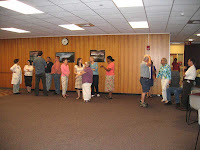 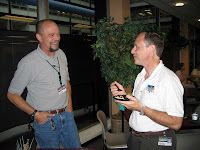 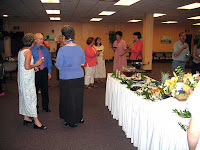 The reception was held in the Atrium Cafeteria between 3:30-4:30PM on Thursday, July 19, 2007.